By Carolyn Kane on Wednesday, May 6th, 2009 at 12:30 pm. If we look back forty years, video’s ability to continuously process new data in real time and render it for visual display make it an important correlate technology for contemporary computing systems. In 1965, SONY placed the first black and white portapak video camera on the commercial market. 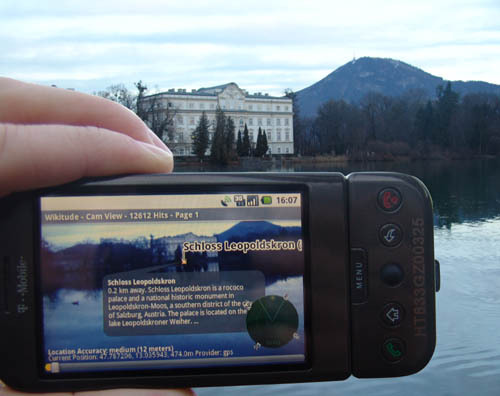 The new technology granted easy portability, immediacy, low monetary investment, and for the first time, made video available to artists.1 Video historian John Hanhardt has noted that, at the time, the excitement surrounding the new medium was most keenly reflected in the early experimental works of Nam June Paik (1932-2006). This era in Paik’s career is also marked by his emerging interest in cybernetics. Cybernetics emerged in the 1940s from MIT mathematician Norbert Wiener. Instead of viewing communication as a one-way ticket between cause and effect, Wiener looked at communication as a circular system of information exchange. His most well known example is a ship’s steering system, an example that echoes the Greek origin of the term, kybernetikos, meaning to steer or guide.2 While cybernetics eventually opened the doors to artificial intelligence projects such as smart bombs, smart planes, robots, and various other military “defense” technologies, Wiener has nonetheless maintained a sharp critical and ethical eye on the applications of the automated systems he doctored. Wiener was not alone. In the 1960s and 1970s, Nam June Paik, and many of his pioneering video artist colleagues and Fluxus collaborators took the visionary work of Wiener, the electric prophesies of McLuhan and Gregory Bateson and the utopic designs of Buckminster Fuller and concurred that the new video medium would usher in a social utopia that would extend far beyond the spheres of the 1970s experimental art world. For these early media artists, the feedback loops, live circuits, and video flows, coupled with the electronic image’s immediate and physiological stimulations, when used in distinction to commercial models, posited potent possibilities for cybernetic consciousness, ecological human-machine systems, and an end to top-down power relations. In short, the rise of an egalitarian, democratic society through electronic media. In order to fully appreciate Paik’s work, we must remember this historical context. A solo show is now on view at the James Cohan Gallery in Chelsea, "Nam June Paik: Live Feed: 1972 -1994." The show features several of Paik’s older and more recent video installations, all of which reflect his cybernetic ambitions for video technology. The first few pieces in the exhibition are animal-man-machine hybrids, a style Paik has been developing since the 1980s, with works such as the Family Robot series (1986). These robot pieces reflect Paik’s life-long interest in cyborgs (hybrids of man and machine), offshoots of cybernetic research. In 1996 Paik wrote, “Cybernetics is the exploration of boundary regions between and across various existing sciences.”3 Its fusions went beyond human beings to include animals, objects, and ecological fusions with machines such as Watchdog II (1997) –– a pun on an actual dog and the “media as watchdog” and Attila the Hun (1993). Also in the show are Beuys Voice (1990) and Gertrude Stein (1990), two celebrity robots. These cyborgs both personify and mechanize the actual historical figures: Joseph Beuys, the conceptual artist, and Gertrude Stein, the modern writer. Stein wears a polyester translucent skirt draped around her waist. She has miniature television monitors for a belly, kneecaps, and shins, all of which emit an ongoing and colorful electronic glow. For breasts, two old records are installed onto the surface of her robot skin. Old victrola-horns are used for arms. Where the Stein robot references Gertrude Stein’s actual work and writing (Stein wrote prose that emphasized sonic dimensions—for instance take the rhythmical sound of her well-known sentence “A rose is a rose is a rose”), the Joseph Beuys robot alludes to Beuys’ art works and persona. Beuys holds a bird in a cage––likely a reference to fellow Fluxus and conceptual artists Joe Jones, who made a self-playing violin in a birdcage. The felt hat resting on top of the robot head no doubt refers to the felt grey hat that Beuys is known for always having worn. The celebrity robots pay great respect to these immortal figures. As Donna Haraway declared in The Cyborg Manifesto, “I’d rather be a cyborg than a goddess.”4 One could only assume Paik would agree. The mixture of old and new has always been at play in Paik’s work. In Stein, old media such as records, victrola-horns, and vintage television set casings form the structure of the robot-body. But inside these old and bulky boxes, newer and smaller monitors reside. It may appear that the newer television sets have been used to update the older ones; to preserve the installation for ease of display, but this is not the case. Paik has been housing newer monitors inside vintage casings from the start. This is confirmed by gallery owner James Cohan, whom I was fortunate enough to run into while visiting the gallery last week. The bulky-old boxes tell a story about the history of electronic and acoustic media––that the gradual miniaturization, democratization, and streamlining is something that we can only recognize retroactively. Cybernetics is not just about human/animal-machine hybrids, but also about environments, ecologies and consciousness. 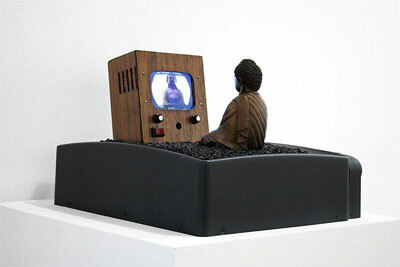 TV Bed (1971 / 92), and Enlightenment Compressed (1994) are newer pieces that harp back to, and update, Paik’s earlier works. 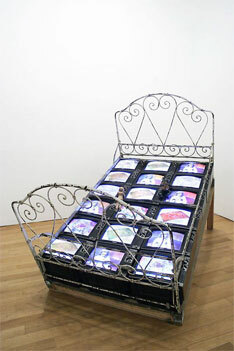 TV Bed, according to the gallery, is an ode to Paik’s muse’s Charlotte Moorman. Moorman collaborated on several pieces with Paik, including TV Bra (1975). Images of this wacky 1975 performance appear on the leg-monitors of the Gertrude Stein robot. Paik is well known for transforming the architectural function of the television set from a mere box to an element distributed in space. However, these interventions must also be contextualized with his ongoing interest in cybernetics, a theory of animals and machines in their environment. In 1971 Paik asserted that today, the “nature of [the] environment is much more on TV than on film or painting. In fact, TV (its random movement of tiny electrons) is the environment.”5 TV Fish (2004) and Videochandelier X (1991), also in the Cohan exhibition, reflect this attitude. 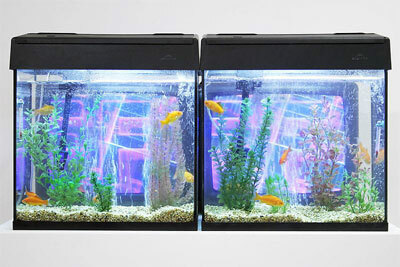 TV Fish involves a large fish tank filled with real goldfish. The goldfish swim about the tank as a television monitor flashes behind them. One gets the sense the goldfish move to the beat of the monitor’s syncopations. Videochandelier X decoratively distributes mini television monitors in an ornamental light fixture hung from the ceiling. Both tungsten light and TV light shine down on you from above. These pieces estrange the naturalized position of the television in the living room, or stand. Vision and viewing practices are stretched so that one sees an object in space, abstract colors, and patterns, before, and perhaps regardless of, the television’s content or cognitive meaning. Further exploration of the new systems-thinking comes through in Enlightenment Compressed, a miniaturized version of the celebrated TV Buddha (1974) that is, in my view, the highlight of the Cohan exhibit. In both pieces, a live camera is placed on the front of the mini television monitor. The camera receives a feed of the image of the bronze Buddha statue in front of it. The circuit then feeds this image signal back into the television monitor, resulting in the Buddha’s image appearing on the screen in front of him. In video terminology, this is known as a “closed feedback loop,” meaning that the video signal and the image it generates are united in one circuit. In 1974 Paik reminded us that “two way television came before one-way television—from radar.”6 The Buddha installations show us what television could be––beyond the limitations of the one-way, top-down, industrial broadcast model. Enlightenment Compressed and TV Buddha function more as systems and networks that criticize the one-way flow of commercial broadcasting, and yet also offer alternative possibilities for television viewing, possibilities that have always existed with the technology, but have been suppressed by industry mandates. Canadian media scholar Marshall McLuhan provocatively argued in the 1960s that television sets are extensions of the human nervous system. When we are watching we are “plugged in”––creating a feedback loop that extends the body into the machinery, and the machine back into the body. McLuhan also drew on the myth of Narcissus to describe the televisual experience. Like Narcissus, one is so intoxicated and absorbed by the electronic image, he / she fails to recognize it is actually an image of oneself that is reflected back to them.7 Enlightenment Compressed and TV Buddha suggest that this mode of televisual experience is analogous to the practices of Zen meditation. For Paik, television provided an enlightening experience where one transcended the self––not in a mystical or religious way, but though the material technical system that was grounded in the real world. World as concept, mind as space. Paik has since shown his work internationally in solo exhibitions worldwide. Venues include the Museum of Modern Art, New York (1977); The Whitney Museum of American Art (1982), Centre Georges Pompidou (1982); The San Francisco Museum of Modern Art (1989); The National Museum of Contemporary Art, Seoul (1992); and The Solomon R. Guggenheim Museum (2000). 8 He recently passed away in 2006, at the age of seventy-five. If you have not yet seen Paik’s work in person, the James Cohan Gallery is ideal for initiation. For those already familiar with his work, the exhibition is an opportunity to revisit important pieces from the artist’s long career. The show is open at the James Cohan Gallery, 533 West 26th Street, NY, through May 30, 2009. 1. Paik in Global Groove 2004, eds. Nam June Paik, Jon Ippolito and John G. Hanhardt. New York: Guggenheim Museum, 111. 2. Norbert Wiener. Cybernetics, 1947. 3. Paik in Global Groove 2004, 107. 4. Haraway, “A Cyborg Manifesto” in Simians, Cyborgs and Women: The Reinvention of Nature, 1991. 5. Paik in Global Groove 2004, 107. 6. A Conversation. 1974., eds. Joseph Beuys, Douglas Davis, Nam June Paik, Bill Viola, Ronald Feldman Fine Arts and Electronic Arts Intermix. 8. James Cohan Gallery. Nam June Paik: Live Feed: 1972 -1994. 2009 [cited April 23 2009]. Available from the press release. A Conversation: Joseph Beuys, Douglas Davis, and Nam June Paik [Videorecording]. Anonymous New York, New York: Electronic Arts Intermix, 1974. Surveying the First Decade [Videorecording]. Directed by Art Institute of Chicago. 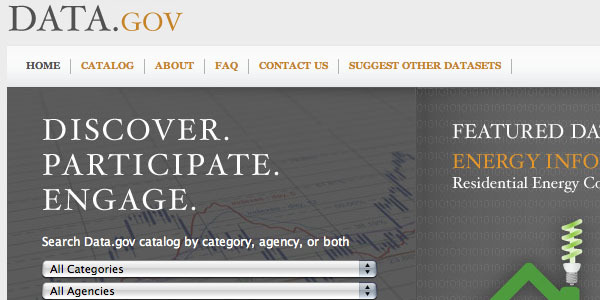 Video Data Bank, Electronic Arts Intermix and Bay Area Video Coalition. Chicago, Illinois: Video Data Bank, 1995. Donna Haraway, “A Cyborg Manifesto: Science, Technology, and Socialist-Feminism in the Late Twentieth Century,” in Simians, Cyborgs and Women: The Reinvention of Nature. New York, New York: Routledge, 1991. pp.149-181. James Cohan. Personal Communication. New York, New York: James Cohan Gallery. April 20, 2009. James Cohan Gallery. "Nam June Paik: Live Feed: 1972 -1994." http://www.jamescohan.com/exhibitions/2009-04-14_nam-june-paik/press-release/ (accessed April 23, 2009). Marshall McLuhan. Understanding Media: The Extensions of Man, edited by W. Terrence Gordon. Corte Madera, California: Gingko Press, 2003. 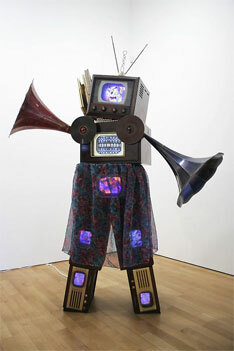 Nam June Paik 1932-2006. Global Groove 2004, edited by Nam June Paik, Jon Ippolito and John G. Hanhardt. New York, New York: Guggenheim Museum, 2004. Nam June Paik, Thomas Kellein, and Toni Stoss. Nam June Paik, Video Time - Video Space. Stuttgart: Edition Cantz, 1991. Norbert Wiener. Cybernetics. New York, New York: J. Wiley, 1948. Carolyn Kane is Rhizome's Curatorial Fellow. De nouvelles applications "AR" (Augmented Reality). 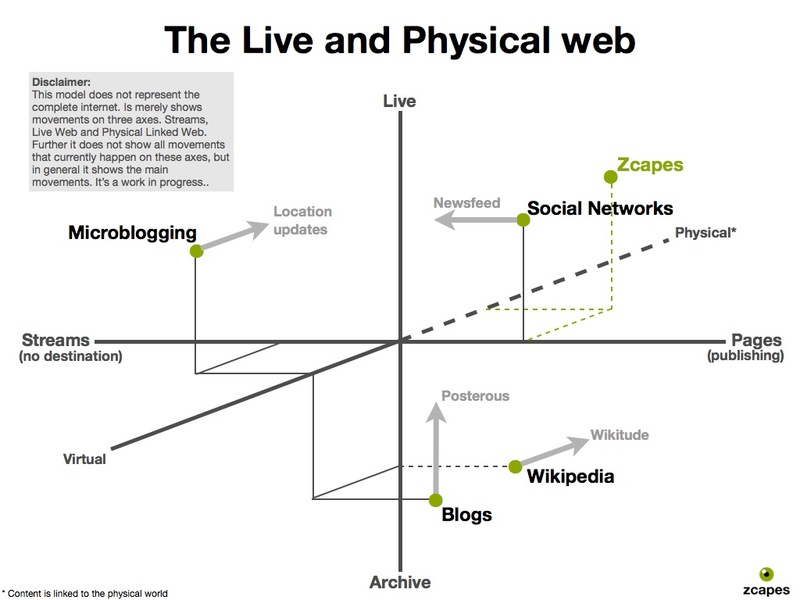 Le mélange d'inputs "live" provenant du réseau avec des lieux physiques me parait être une voie plus intéressante (quels commentaires trouvés sur les différents réseaux sociaux par rapport au lieu où l'on se trouve) qu'un guide touristique statique . Fiddle with an invisibility cloak, and it can make any object look like another, say researchers. Just when you thought invisibility cloaks couldn't get any weirder, researchers come up with this: a way to make one object look like any other. Invisibility cloaks work by steering light around a region of space, making any object inside that region invisible. In effect, an invisibility cloak creates the illusion of free space. This is possible because of a new generation of artificial materials called metamaterials that can, in principle at least, steer light in any way imaginable. Indeed, various teams have built real invisibility cloaks that hide objects from view in both the microwave and optical bands. Now Che Chan and pals from the Hong Kong University of Science and Technology say that metamaterials could be used for an even more exotic effect: for cloaks that create the illusion that a different object is present. The illusion is a two-step process, and to see how it works, imagine making a mouse look like an elephant. The first step involves an idea that these guys came up with about six months ago in which they described a way of cloaking objects at a distance. The trick is to create a material in which the permittivity and permeability are complementary to the values in a nearby region of space containing the mouse we want to hide. "Complementary" means that the material cancels out the effect that the mouse has on a plane lightwave passing through. So a plane wave would be bent by the mouse but then bent back into a plane as it passes through the complementary material, making the mouse disappear. The second step is to then distort this plane wave in the way that an elephant would. This means creating transformational material that distorts a plane lightwave in the same way as an elephant. So anybody looking at this mouse would instead see an elephant. An invisibility cloak is just a special case of this, when the mouse is simply replaced by the illusion of free space, say Chan and co. The researchers have even found a mind-boggling application. Their idea is to create the illusion that a wall has a hole in it, and then use the hole to look through the wall. That's not quite as bonkers as it sounds. The wall has to be pretty thin, and what the new device does is allow light to tunnel through the wall in a way that would not ordinarily be possible. Amazing, if it works. There's no telling where this kind of thinking will lead. But surely metamaterials can't do anything weirder than this? Créer un faux trou dans un mur qui n'en a pas et pouvoir malgré tout regarder à travers... Hmmmm, ça commence à aller loin! Très "interférenciel"!